It is important to have a robust anchoring and strapping system applied to your mobile or manufactured home due to the high winds and frequent hurricanes in Florida. Precision Vapor Barriers is a local industry leader specializing in mobile or manufactured home anchoring and strapping. Due to the frequency and severity of storms and hurricanes in Florida, it is important to know your mobile or manufactured home is solidly anchored and strapped down. You can rest assured of your family’s safety when you let the experts at Precision Vapor Barriers handle the anchoring and strapping of your manufactured or mobile home. Precision Vapor Barriers will provide a free* inspection of your homes anchoring system. 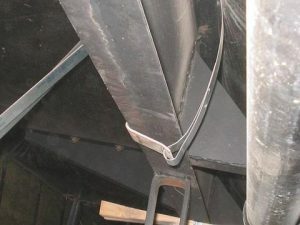 If issues with your anchoring system are found, a Precision Vapor Barriers professional will explain those issues in detail and provide you with a fair and honest estimate to fix, repair or replace your homes anchoring system. Precision Vapor Barriers provides all the information you need to make the best decesion moving forward. We have found that honesty and an open dialogue can help you make the best decision concerning your home.